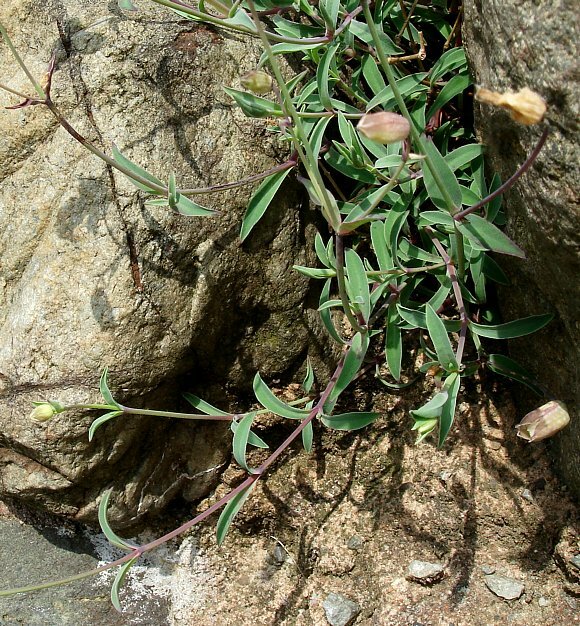 Procumbent or ascending to 30cm. 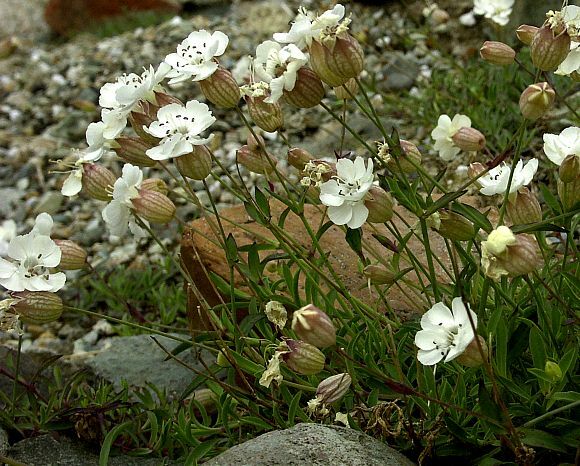 Like Thrift, Sea Campion is a Halophyte, very salt-tolerant and grows on rocky shorelines near the sea. 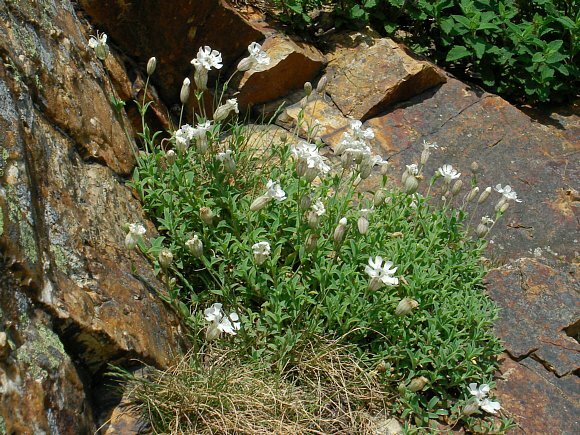 It also grows well inland on land contaminated by lead mining, for it is also a metallophyte, able to absorb and accumulate heavy metals without ill effect. 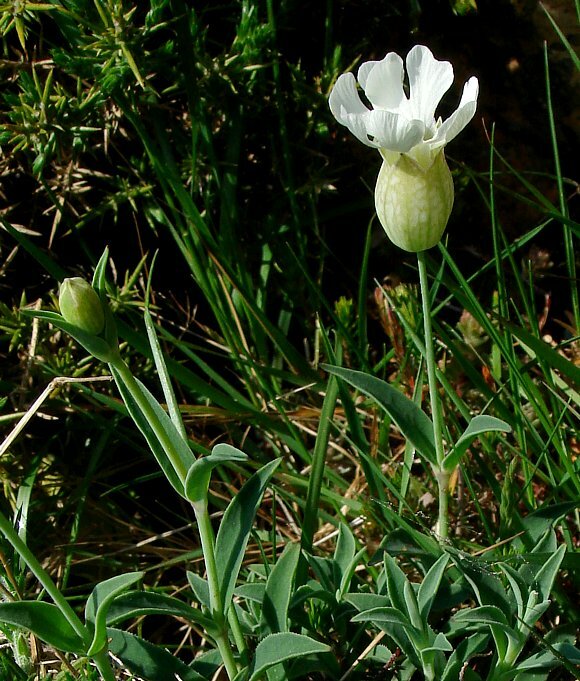 The calyx tube is not as inflated as that of Bladder Campion and is greenish at first, becoming pinkish with net veins later. Calyx teeth number five with most calyx having twenty veins. Stem leaves are stalk-less, linear to linear-lanceolate and glaucous-green with whitish margins, in opposite pairs up the stem. The calyx teeth are equilateral triangular. Flowers are bisexual, with five female curling styles and ten grey or brownish anthers. 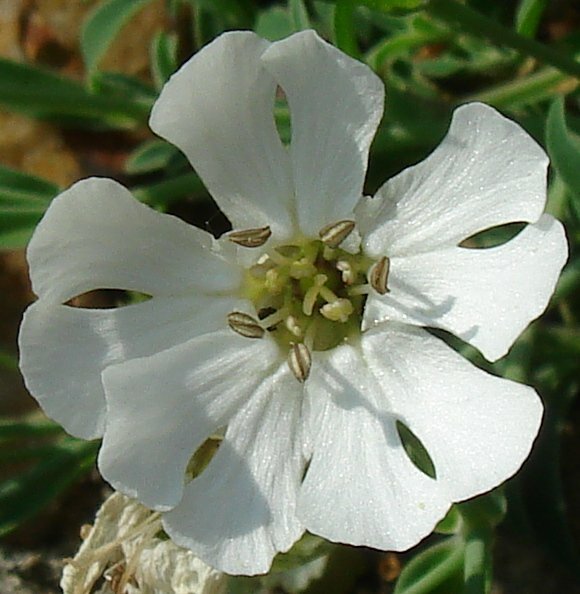 Five broad and rounded petals which are cleft so as sometimes to appear like 10 petals. 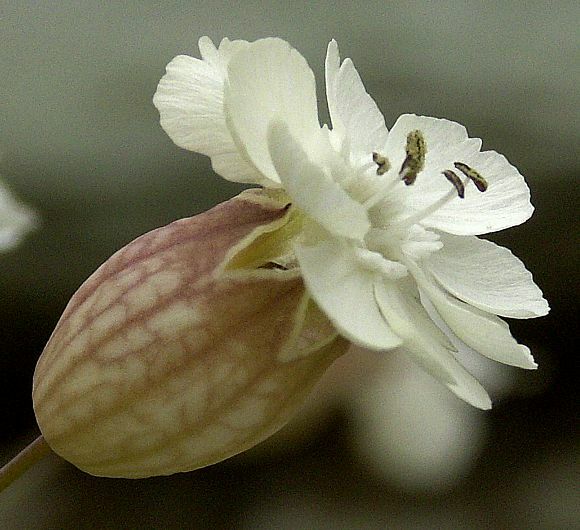 Hybridizes with : Bladder Campion to produce a hybrid which lacks a common name, but the scientific name is Silene uniflora × vulgaris. 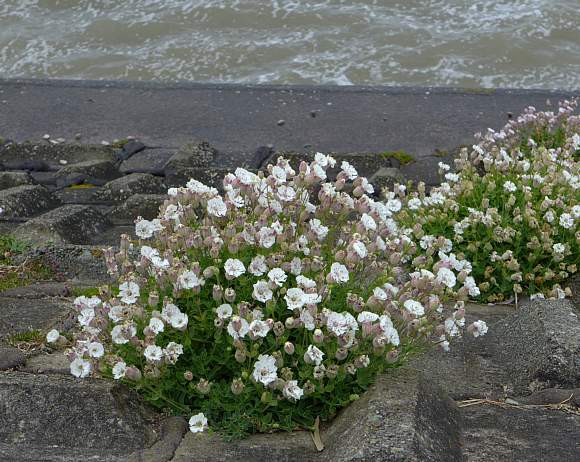 The above examples are un-likely to be this hybrid since that is thinly scattered across the UK in places far removed from where the photos were taken. 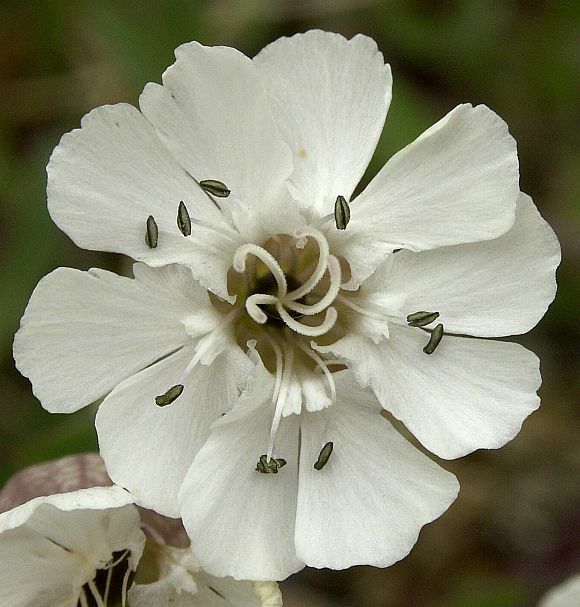 Easily confused with : Bladder Campion which some experts and books think are one and the same thing. 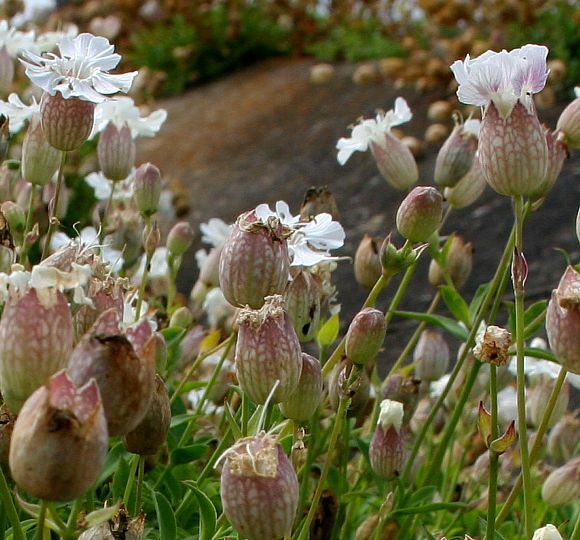 But Bladder Campion is more branched and stands more erect. 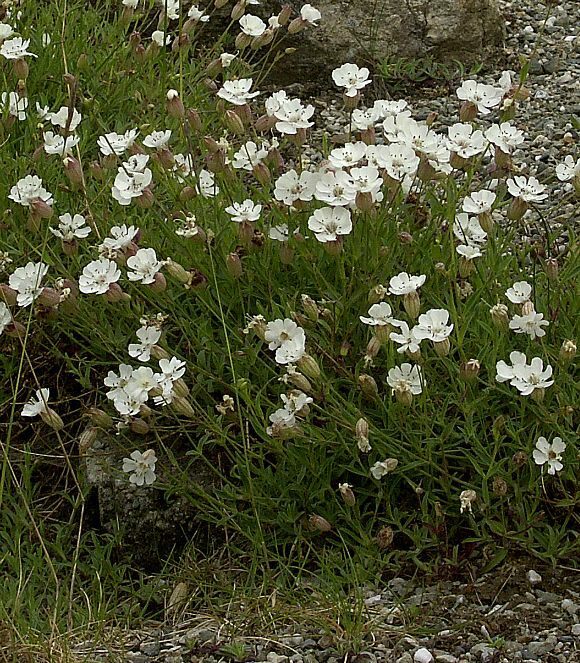 Despite its name, it can also be found well away from the sea near the spoil heaps from old lead mines and gravestones in North Wales covered in lead-rich stone chippings, for it likes lead. See Thrift for more information re sequestering of heavy metals.